We could not be as effective without these partners! 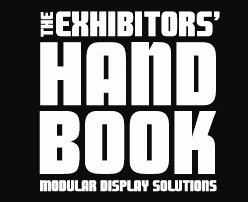 When you need tradeshow display options, take a look here and let us know what you like. We’ll get pricing for you. We stock a few items like retractable banner stands, but there are so many more options to choose from, here are just a drop in the bucket. For even more unique options for tradeshow displays, take a look here and let us know what you are looking for. We’ll brainstorm with you and get you the best prices. We have every kind of sign your little heart could want. Need Common Room Signs? Boom. Done. Is it Directional Signage you’re longing for? Your wish is our command. Desperate for Restroom Signs? Simmer down, buttercup. We’ve got you covered. Investing in good signage reflects well on your entire facility and brand. Simply put: we make you look good. Sometimes, you want a more beautiful ADA sign, and this is the site for you! Signs for Success is not too proud to support truly beautiful art in signs. So many choices in dimensional letters. We can try to show you choices, but if you go to the Gemini Site and find something that we don’t show, let us know, and we’ll price it out. Gemini has a greate warrantee and is so helpful with design, proofing & appropriate choices for your use. You can design your own cheap signs here. The designs are not great, but these are budget signs that you can order and pay for on this outside site and we might (or might not) get the print job. If you want really great design, give us a call.